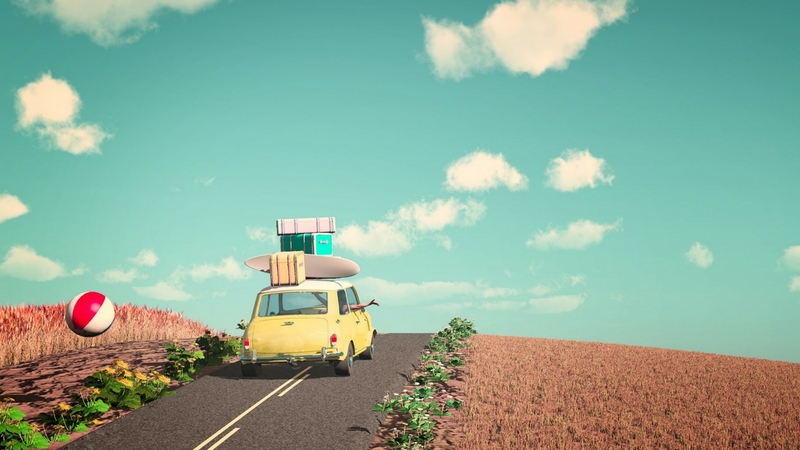 Blog Treat your car to a Summer Holiday! Picture this; the sun is out, there’s not a cloud in sight and the sound of an ice-cream van is chiming quietly in the distance. Can you guess what it is yet? Yes, that’s right- Summer! Unfortunately, a short-lived time in Britain but still the time of year we all dream of during those long winter nights. But if you’re going away this year, remember, your car is probably dreaming of the same! If you’ve got a holiday booked this year, it will most likely involve travelling in your car for a relatively long period – whether you’re driving to the airport or driving to one of the beautiful beaches England has to offer, driving is inevitable. But to ensure you have the best time on your holiday, why not consider booking your car in for a holiday of its own with our Summer Health Checks? We will make sure your car is in it’s top condition, ensuring your holiday goes off without a blip. By checking everything from the air-con to the battery, the tyres to the windscreen and the mirrors to the brakes, we will give your car the service it needs. Your car is topped up with all of the fluids it needs to give you the perfect start to your summer break. After all of this, We Fix Any Car can guarantee that your vehicle will be performing at it’s very best. For the price of just £35 our trained professionals will check over 20 different aspects of your vehicle giving you the best start to your summer holidays. Our mechanics know how to handle a variety of different vehicles, so whether you’re speeding away for a romantic break for two in a soft-top sports car or taking the whole family to the beach in an MPV, you’ll rest easy knowing your car is in the safe hands at We Fix Any Car! Don’t hesitate – book now and avoid disappointment! Call us today and send your car on it’s very own summer holiday. Want to know more? Click here to see a full breakdown or contact one of mechanics who will talk you through the entire process!